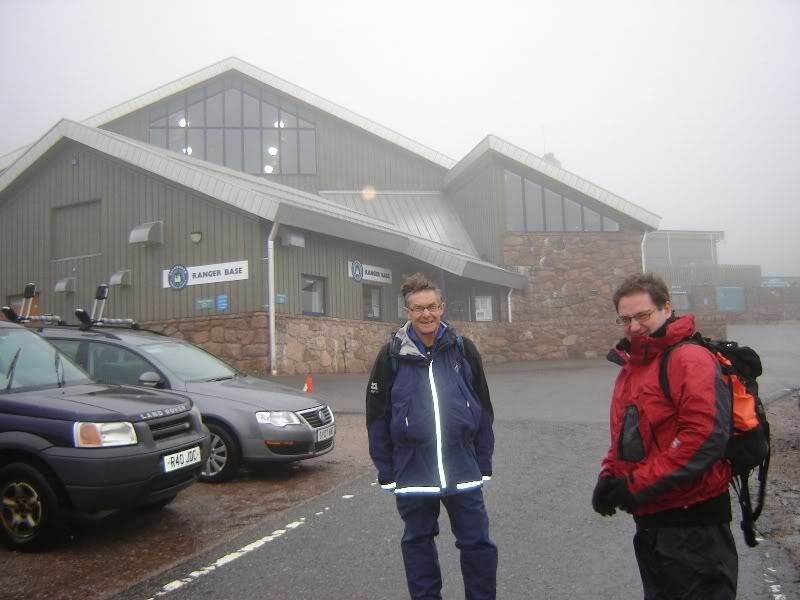 At 07:00 on Saturday morning I set off by minibus with nine other Club members, and a volunteer driver, to the Northern Cairngorms. 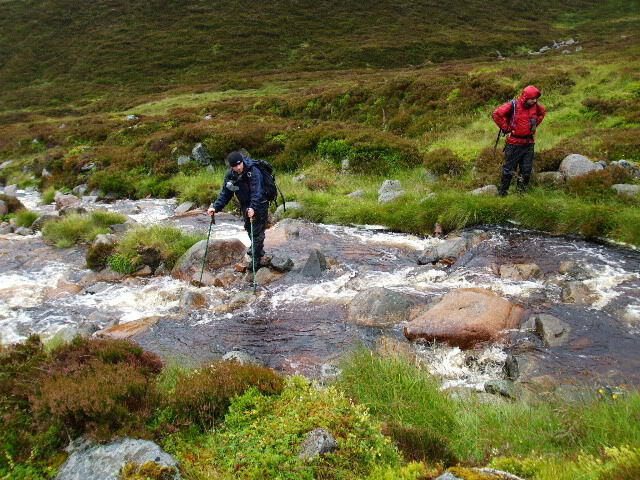 First drop off was at Coylumbridge where seven members chose to stay low and do the Lairig Ghru (from Coylumbridge to Linn of Dee). Having previously done the Lairig Ghru, and having no immediate desire to do it again, I opted to go high despite the weather. Bill and Gregor decided to come with me. 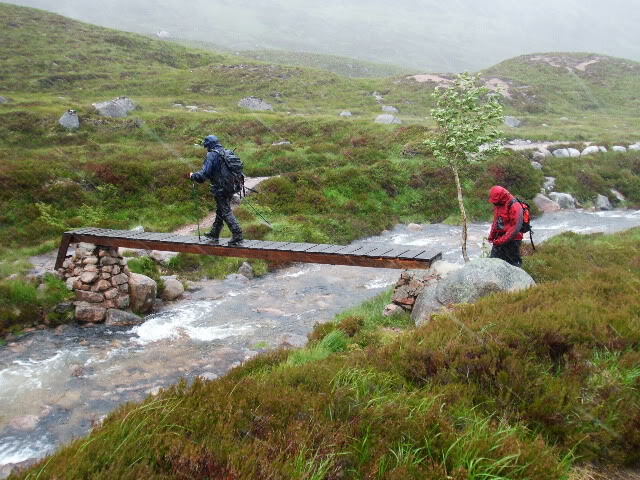 Waterproof jackets and trousers were put to good use from the outset and remained on the whole day. 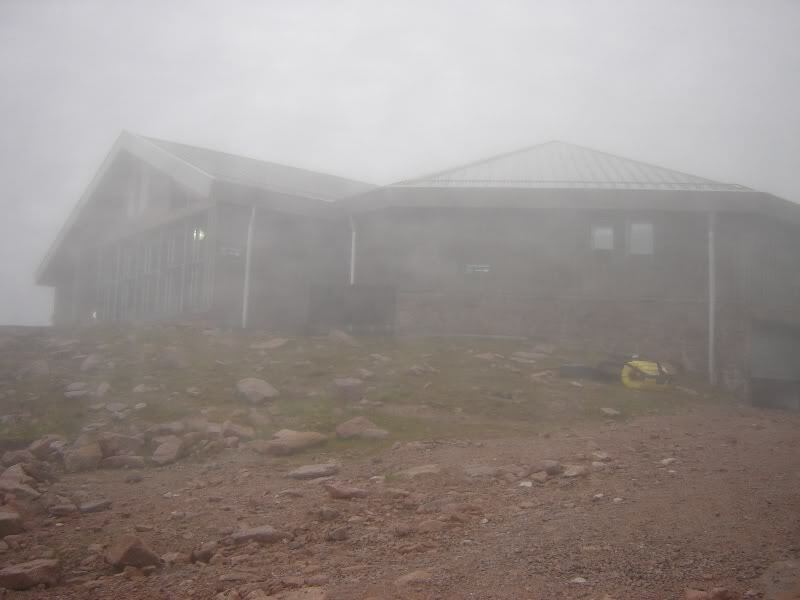 We ascended the wide "tourist route" track up Cairngorm, next to the track of the Funicular railway. We didn't mess around during the ascent it was just a case of heads-down and crack-on. 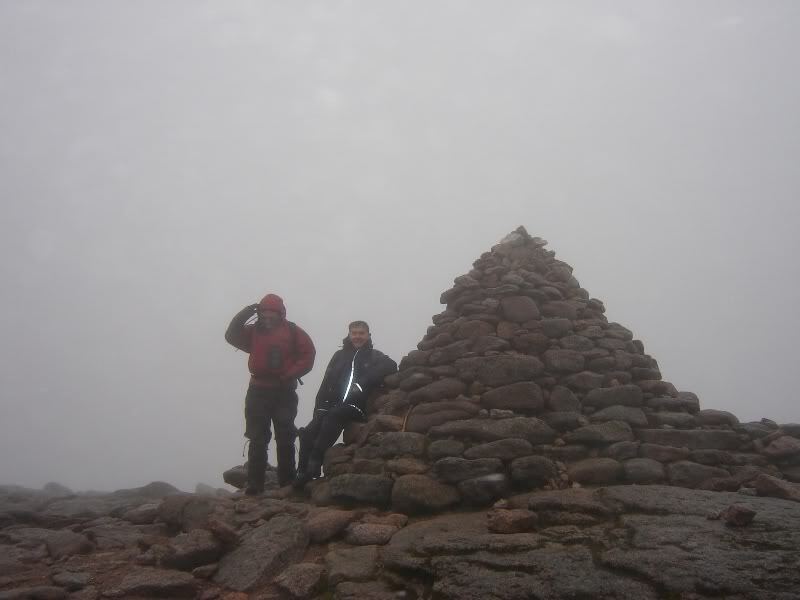 The SMC Munros book states 1hr 50mins to the summit of Cairngorm. 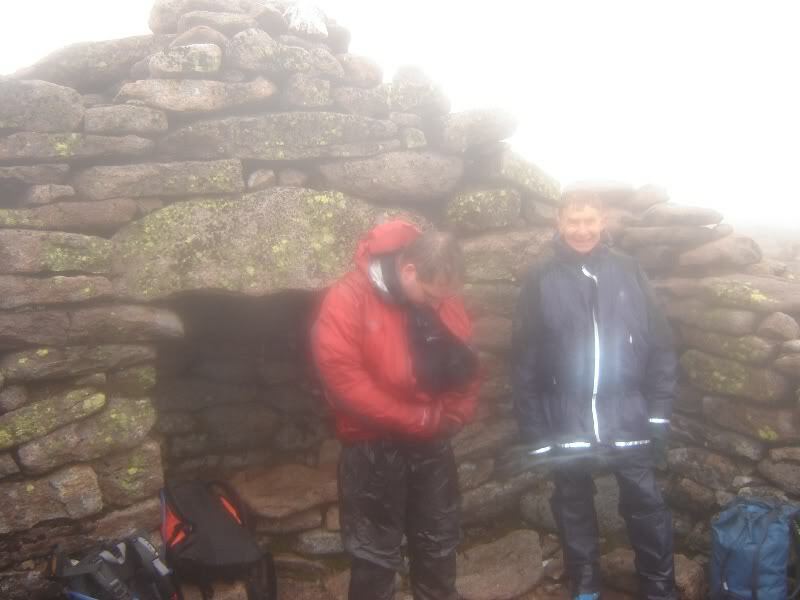 We must have been going at a reasonable rate as we reached the summit cairn in a touch over 1hr 05mins. We stopped just long enough to have a sandwich and for me to get the map and compass out and take a bearing. It wasn't long before we were skirting round the top of the cliffs of Coire an t-Sneachda. 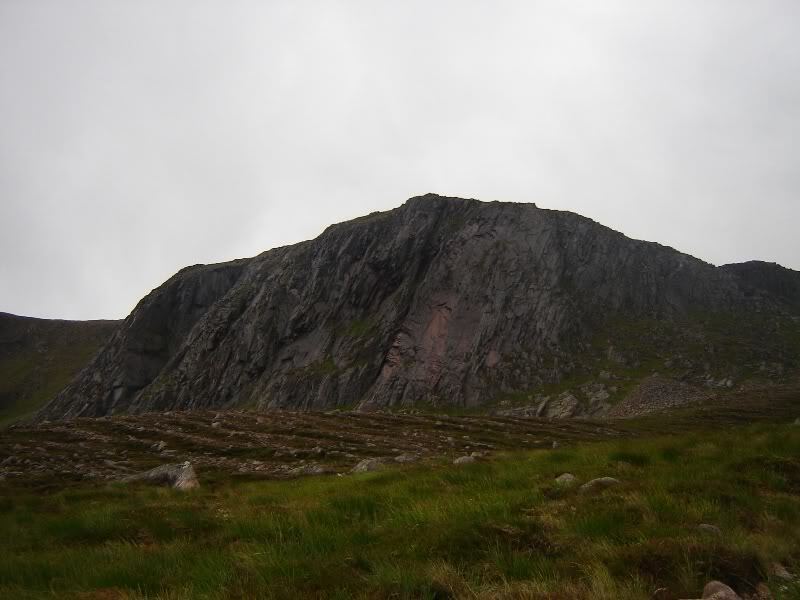 After passing the top of Coire Domhain we changed direction towards Ben Macdhui. 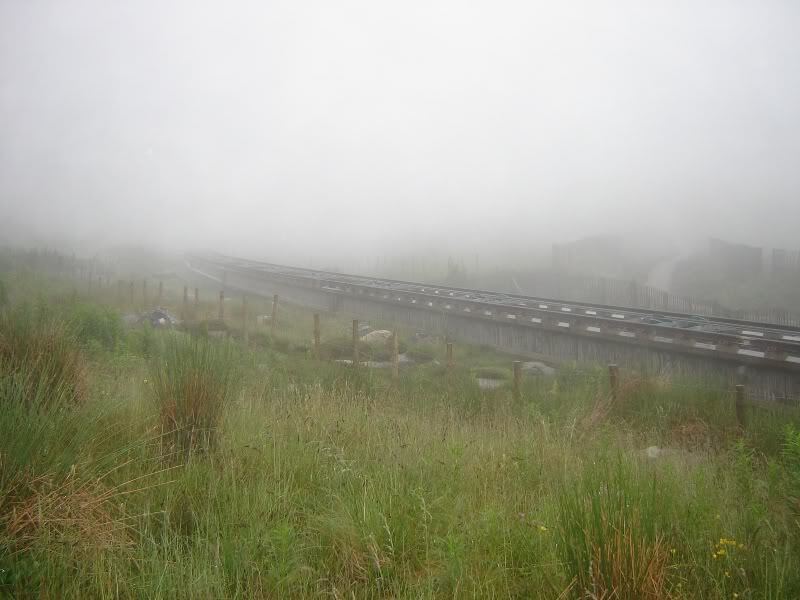 We were still in low cloud and visibility was at best 10 metres. We were glad to see the Lochan Buidhe (which was a good sign we were on the right path) but we couldn't see the March Burn lochan at all. 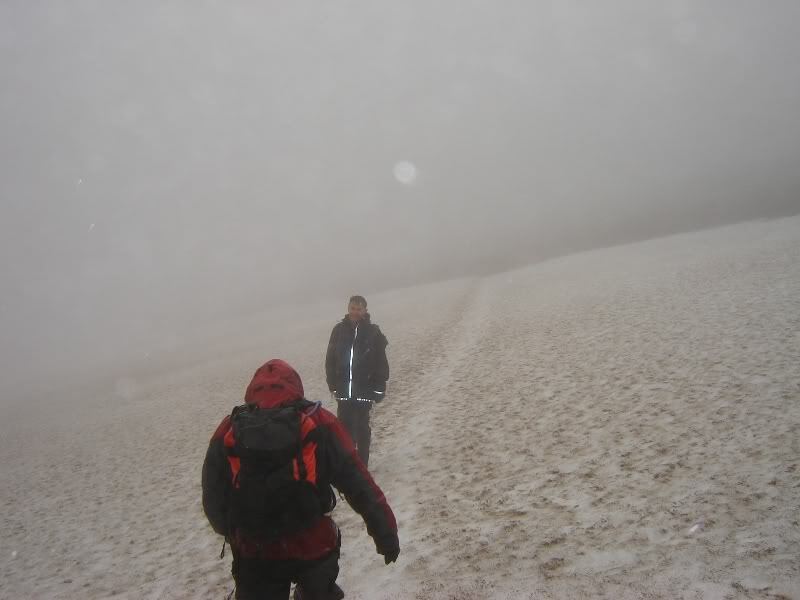 During the walk to Ben Macdhui, we crossed just the one snowpatch. 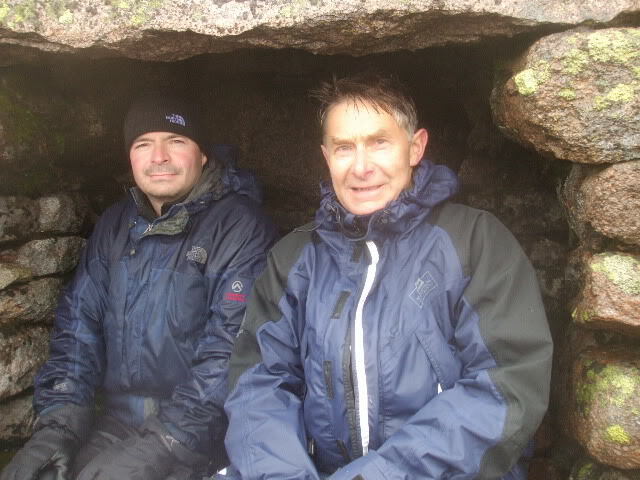 We carried on from the summit for a few minutes until reaching the ruins of a small roofless bothy. I hadn't seen this ruin before despite two previous visits to Ben Macdhui. We took 'shelter' in this ruin to have a drink and a bite to eat. 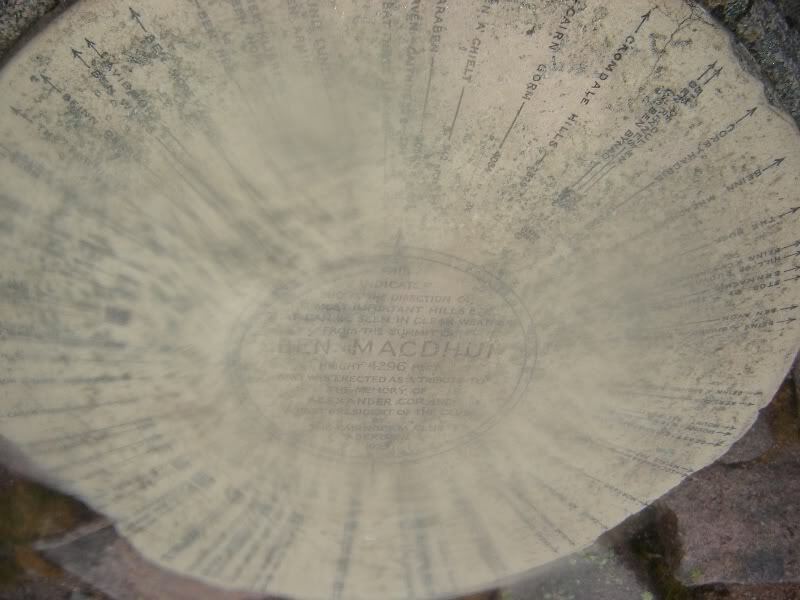 While sitting in the ruin a number of folk passed en-route to a final Munro celebration at the summit of Ben Macdhui. What a shame to get such lousy weather for your final Munro. Bill's camera stopped working with the lens stuck open (water must have got inside) so I resigned my camera to inside my Ortleib rucksack liner to hopefully prevent similar dysfunction. 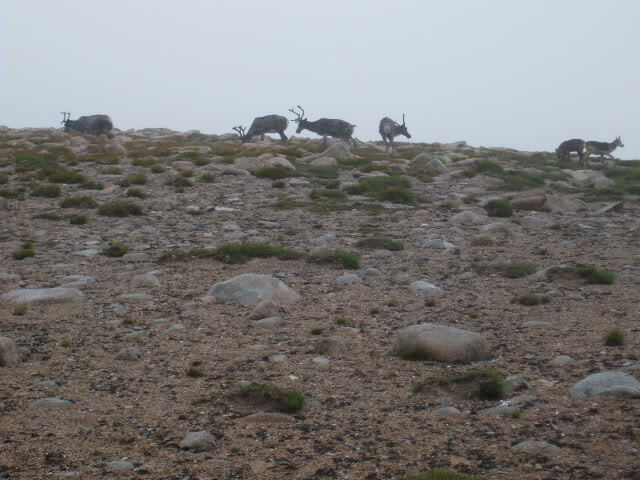 A few hundred metres from the summit of Ben Macdhui we come across a herd of reindeer. Highlight of my day. From Ben Macdhui we headed East and then North-East following the track leading towards and round Loch Etchachan. After dropping a couple of hundred metres we come out of the low cloud and got our first views of the day. Great time to get our first view as Loch Etchachan is a fantastic loch. From Loch Etchachan we made our descent down the good path between the crags of Creagan a'Choire Etchachan and Stob Coire Etchachan. On passing Creagan a'Choire Etchachan I stopped for a number of minutes to admire this fine crag. The "crimson slabs" area, at the right of the crag, is a noticeably different colour even from a distance. This crag has just under 50 recorded routes (mix of rock and Winter climbs). Most famous climb is "The Talisman". On reaching the Hutchison Memorial hut we had a sit-down inside for 20 minutes. Was nice to have a wee break, chat and watch the steam rise from our waterproofs. Was impressed with the much-improved track and new bridge over the Derry burn. 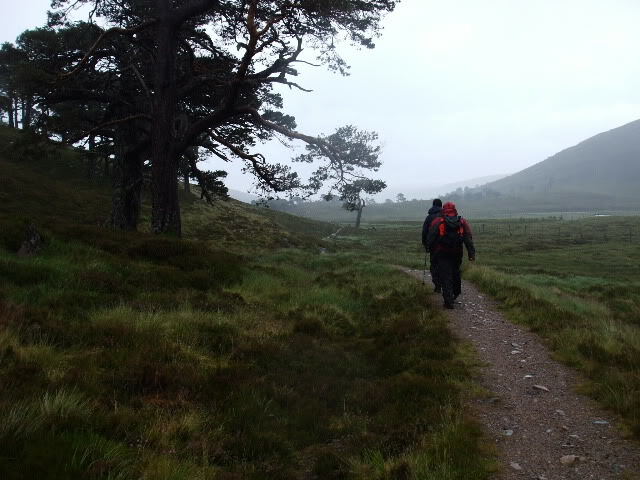 We followed the Lairig an Laoigh for what seemed an eternity out to Derry Lodge. 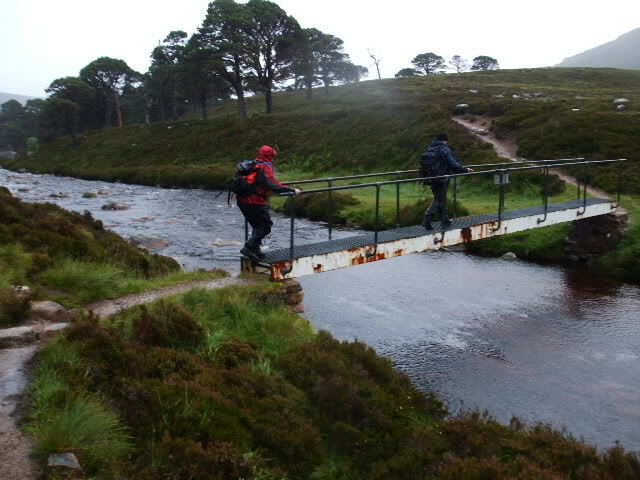 After a short break at Derry Lodge we walked back out to Linn of Dee. 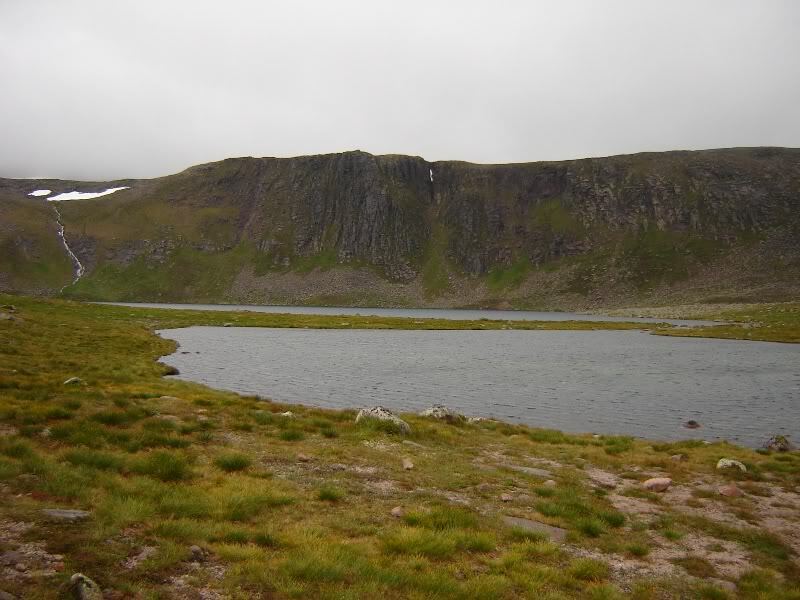 On reaching the minibus in the Linn of Dee car park we were surprised to find that we were back before the other seven members who had stayed low on the Lairig Ghru. Our volunteer driver was nowhere to be seen but thankfully we were able to get into the minibus as the central locking on one of the doors was bust. 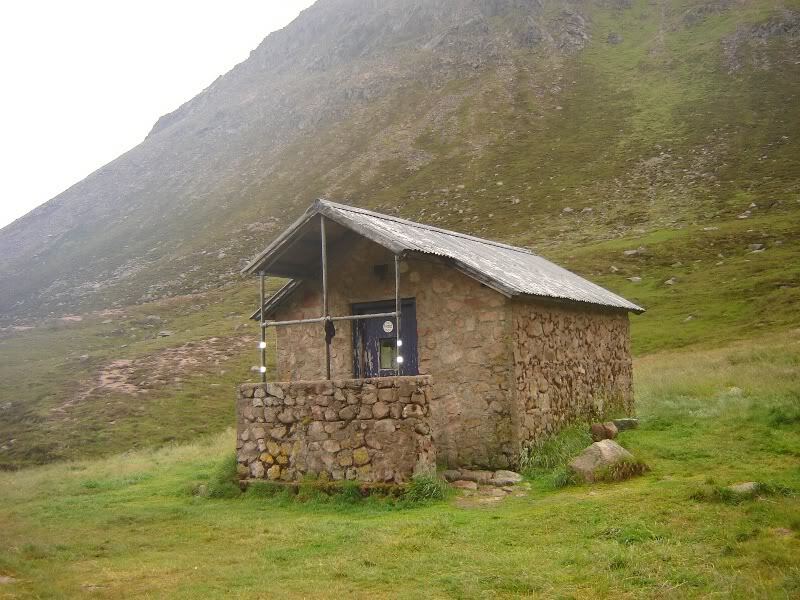 We got changed and walked another mile from Linn of Dee to Muir Cottage (my other walking club's hut) where we popped in for a cup of tea. After about half an hour we walked back up to Linn of Dee to find the other seven members back at the bus but still no sign of the driver. :? : Our driver knew we were due back between 18:00 and 19:00. 19:00 passed, 19:30 passed, 20:00 passed, 20:30 passed and still no sign of the driver. We were beginning to get seriously cheesed off but at the same time worried about our driver. At 20:35 our driver came walking along the road. Dual emotions phew and grrrr! 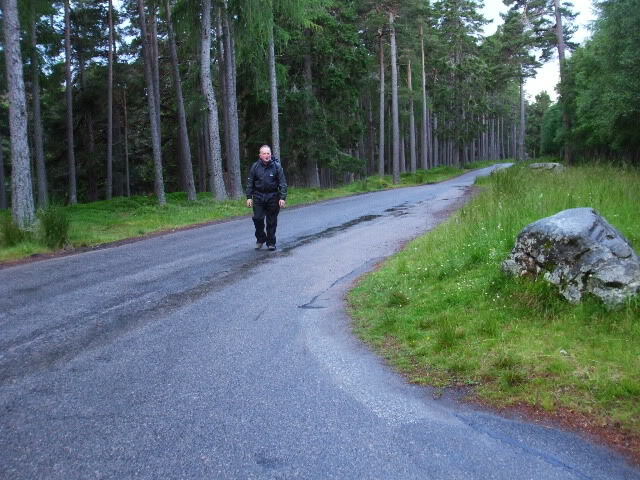 Turns out he had decided to walk along the initial section of the Lairig Ghru to meet us on our way out. 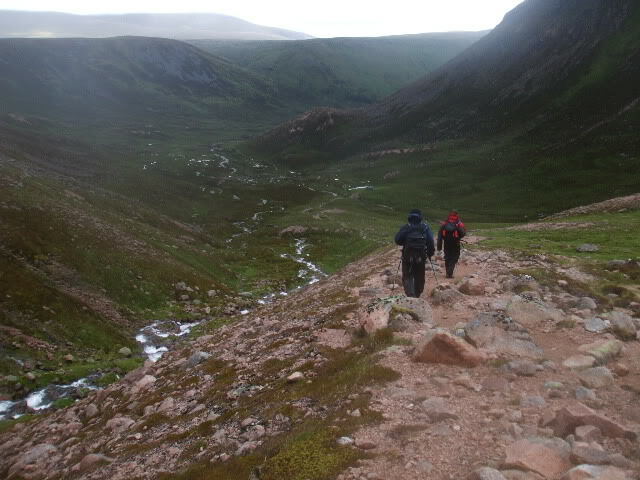 However, he didn't have a map and decided to ask some folk at Linn of Dee "Where's the Lairig Ghru". They sent him walking along the track to White Bridge. 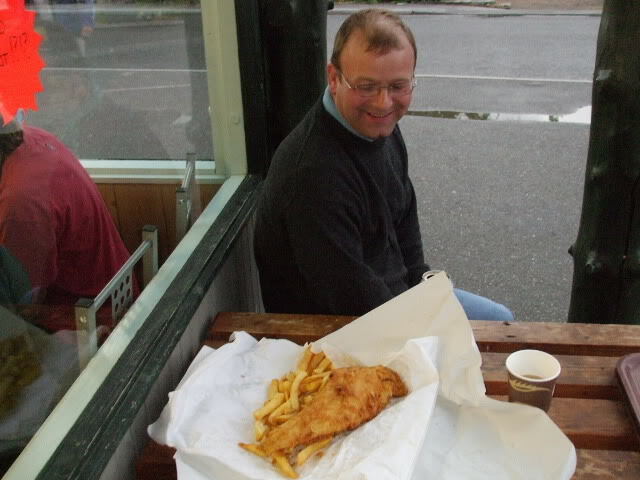 We got going and all negativity was soon vanquished after devouring massive portions of Fish and (Cheese and) chips at the Braemar chippy *****. A good day out despite the weather.